When you visit Miramar Beach, there is plenty of fun to be had in the water! Whether you just feel like floating in the waves or trying an exciting water sports adventure, you can do it all at this popular beach. If you’re looking for a bit of a thrill, rent a jet ski for the ultimate water experience, or go parasailing! 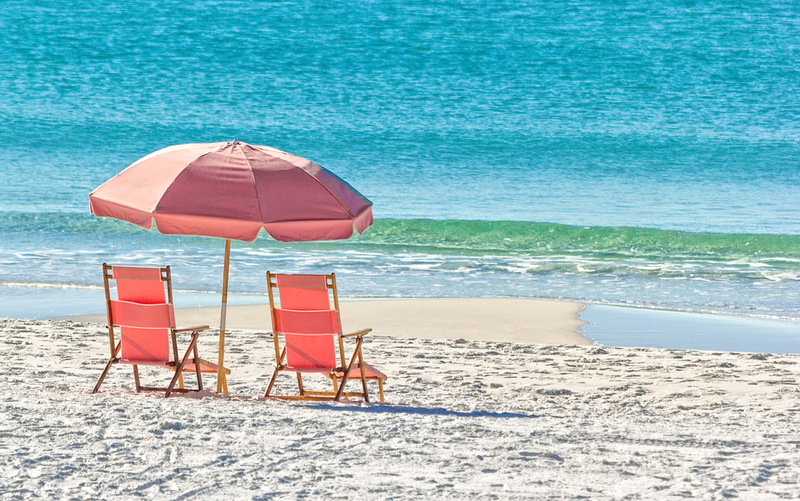 You’ll never get tired of soaking up the sun on Miramar Beach. Some of our vacation rentals even have private swimming pools, so you can splash around in both the pool and the ocean. You won’t ever have to worry about going hungry when you visit Miramar Beach. Your only worry will be deciding from the many delicious dining options! You have your classic American food, to more exotic dishes, to some of the freshest seafood you’ve ever tasted. One of the most popular places to dine is The Surf Hut, which is located right on the Gulf of Mexico! This isn’t your typical beach restaurant. The menu includes seafood, oysters and St. Louis-style BBQ, all with a special surfer flare. There is even a corn hole area so you can play a game as you sip on a signature drink from the full bar! Other popular restaurants include The Beach House and Fat Clemenza’s. 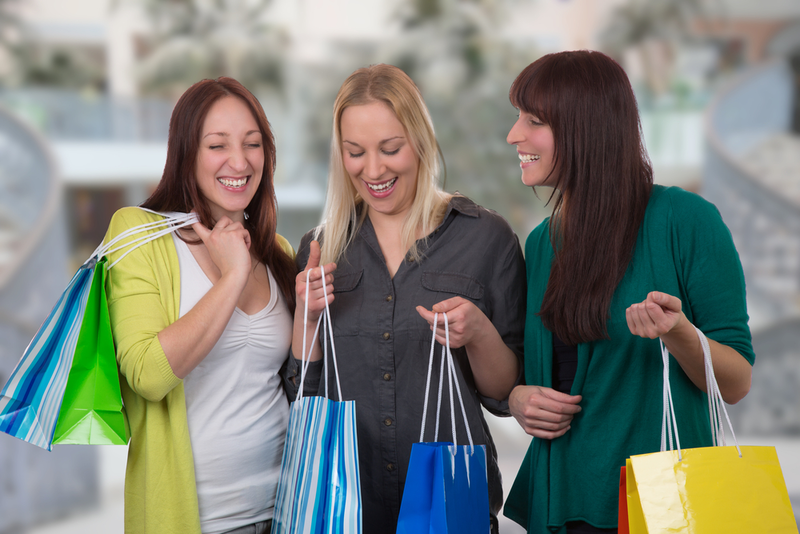 Not only are there so many dining options, you’ll have countless shopping opportunities as well! For a first-class shopping experience, head to Silver Sands Premium Outlets, one of the biggest group of designer outlets in the country! Silver Sands Premium Outlets is home to 110 designer and name-brand outlet stores, such as Coach, Kate Spade and Michael Kors. It is known as the premier shopping destination along Northwest Florida’s Emerald Coast! Another popular place to shop is the Grand Boulevard at Sandestin, where you’ll get a shopping experience like no other. There is more than 725,000 square feet of specialty and retail shops, and restaurants as well! You’ll never run out of shopping opportunities in Miramar Beach. When you visit Miramar Beach, you’re going to need a place to stay! Look no further than our vacation rentals at RealJoy. We have a variety of Miramar Beach vacation rentals for both those who want a cozy and hidden location, to those who are looking to be right next to all the excitement. To be just steps from the beach, stay in Gulf View Condominiums, which has 200 feet of private beach, 2 pools, a Jacuzzi and BBQ grilling area and more! For an upscale vacation, stay in our Emerald Shores community, which has its own private beach pavilion with restrooms, showers and a sunbathing deck. You can also enjoy amenities like a tennis court, basketball court, two pools and a seasonal tram to the beach. We have something for everyone at RealJoy! We bet you can’t wait to pack up and head to Miramar Beach now! Browse all our Miramar Beach vacation rentals and plan your trip today. OPEN May 28 to 31 $1083! OPEN May 4 to 6 $572! Ground Floor Lake Views ~ 2000ft of BEACH ~ Heated Pool ~ RealJOY Fun Pass ~ $1250/mo 4 winter! OPEN Apr 26 to 28 $552! OPEN Apr 27 to 29 $472! OPEN Apr 28 to 30 $464! OPEN Apr 30 to May 2 $959! OPEN Apr 27 to 30 $1203! OPEN May 3 to 5 $1741! OPEN May 12 to 14 $690! OPEN Apr 29 to May 1 $511! OPEN May 12 to 14 $1016! OPEN Apr 27 to 29 $603! OPEN Apr 27 to 29 $526! OPEN Apr 28 to 30 $506! OPEN May 12 to 14 $517! OPEN May 26 to 29 $1414! OPEN Apr 26 to 28 $553! OPEN Apr 26 to 28 $667! OPEN Apr 28 to 30 $412! OPEN May 14 to 17 $1077! OPEN Apr 28 to 30 $574! 3BR in Seascape Resort ~ Lake & Golf Course Views ~ 2000ft of Beach Access ~ $1600/mo 4 Winter! OPEN May 1 to 3 $532! OPEN May 5 to 7 $572! OPEN Apr 30 to May 2 $532! OPEN Apr 28 to 30 $517! OPEN Apr 26 to 28 $541! OPEN May 3 to 5 $513! OPEN Apr 26 to 28 $500! OPEN Apr 29 to May 1 $452! OPEN Apr 26 to 28 $467! OPEN Apr 26 to 28 $716! OPEN Apr 30 to May 2 $741! OPEN Apr 28 to 30 $1020! OPEN May 6 to 8 $836! OPEN Apr 28 to 30 $667! OPEN May 10 to 15 $907! OPEN Apr 30 to May 2 $448! $1250/mo for Winter - Real JOY Fun Pass-AcrossFrBeach-Gulf Views-Private Balcony! OPEN May 2 to 4 $594! $1550/mo for Winter * Upgraded * Real Joy Fun Pass * Walk to Beach * Gulf Views! OPEN Apr 28 to 30 $959! OPEN Apr 28 to 30 $470! OPEN May 7 to 9 $428! OPEN Apr 26 to 28 $519! OPEN Apr 29 to May 1 $472! Private Beach across Street - 2nd Floor End Unit w/Gulf Views - Updated - $1350/mo 4 Winter! OPEN Apr 29 to May 1 $498! OPEN May 6 to 8 $539! OPEN Apr 28 to 30 $444! $1450/MONTH for Winter - Real Joy Fun Pass * Gulf Views * Huge Balcony! OPEN Apr 29 to May 2 $764! OPEN Apr 26 to 28 $1027! OPEN Apr 29 to May 1 $533! OPEN May 1 to 3 $523! OPEN May 4 to 6 $995! OPEN May 1 to 3 $565! Real Joy Fun Pass - Gulf Views! Private Balcony! $1650/mo for Winter! OPEN Apr 28 to 30 $501! OPEN Apr 20 to 22 $592! 400 Yards to Beach- Tennis- Real Joy Fun Pass * $1350/mo for Winter! OPEN Apr 28 to 30 $492! OPEN May 12 to 14 $667! OPEN Apr 29 to May 1 $405! OPEN Apr 29 to May 1 $1076! Real JOY Fun Pass - $2300/mo for Winter - 5BR House in Emerald Shores - Balcony! OPEN Apr 26 to 28 $861! OPEN May 5 to 7 $632! OPEN Apr 29 to May 1 $492! OPEN May 4 to 6 $1141! Built in 2015, Alerio is a new complex located in the heart of Miramar beach. Featuring a community pool with waterfall feature (seasonally heated), hot tub with waterfall feature, grilling area, splash pad for children,… Read More. Beach House is a 7 story, beachfront condominium complex located on Scenic Hwy 98 in Miramar Beach. With 650 feet of beach front, it's an ideal getaway for families or couples. The large, gulf front pool is seasonally heated… Read More. Located directly across from the beach on Scenic Gulf Drive, Beach Resort is a low-rise condo complex with only 64 units. The resort features an expansive, zero entry pool area with a fountain and hot tub (pool is seasonally… Read More. Blue Surf is a low-rise complex located in the heart of Miramar Beach, just across the street from the sugar white sands of the Emerald Coast! Enjoy fabulous community amenities: fenced-in pool, shuffleboard court, and charcoal… Read More. Ciboney by the Sea is a complex of vacation rentals just across the street from Miramar Beach. Its amenities include a seasonally heated pool, two lighted tennis courts, outside rinsing facility, and grilling area. You'll… Read More. Emerald Shores is a unique, gated resort community in lovely Miramar Beach comprised of 95 stucco homes with offering vacation rentals. This one of a kind neighborhood boasts its own private beach pavilion with restrooms… Read More. Gulf View Condominiums is a complex of vacation rentals just across the street from Miramar Beach. Featuring 200 feet of private beach, two pools (one heated), a jacuzzi and BBQ grilling area, all surrounded by immaculate… Read More. Lakeview Condominium is located in the heart of Miramar Beach, just across the street from gated beach access and right in front of Seascape Resort! These condos are conveniently situated adjacent to a gas station and within… Read More. Leeward Key is a complex of vacation rentals in Miramar Beach possessing some great amenities! Two pools are both decked with tropical foliage and have gated access but one is right on the beach and heated. You'll love having… Read More. Mainsail is a complex of vacation rentals in Miramar Beach located on an incredible stretch of beach, eight miles east of Destin and less than a mile from Sandestin and features a beautiful 15-acre gulf-side family resort… Read More. Maravilla Resort in Miramar Beach has the largest private beach in the area—2.5 acres of private pristine beach! Maravilla Resort has family oriented vacation rentals . It is a relaxed resort community and it is less crowded… Read More. Located just a block from the Miramar Beach access and Pompano Joe’s, you will find Sandprints. This low rise complex, designed as a horseshoe with the gated pool in the center and is tucked into a beach neighborhood, boasting… Read More. Seascape Resort offers vacation rentals in Miramar Beach and encompasses over 3 hundred acres of lush greens, serene lakes and 2000 feet of pristine white sand beach. Soak in the views of the gulf without all the traffic… Read More. Situated on Scenic Gulf Drive in Miramar Beach, Summer Breeze is a 3-story low rise condominium just steps from the beach and is conveniently located just 3 miles from the Destin Commons & Silver Sands Outlet Mall! The complex… Read More. At the highest point of Tops’l Beach & Racquet Resort, The Summit is right in the middle of 52 beautifully landscaped acres bordered by the Gulf of Mexico and Topsail Hill State Preserve. There is 600 feet of private, sugar… Read More. Surfside Resort is located next to the Seascape Resort and right across the street from beautiful the Gulf of Mexico! The sky bridge connects you directly from the pool area to the sugar white beach. Located just down the… Read More. The Tides are part of Topsl Beach and Racquet Resort offering vacation rentals in Miramar Beach and is right in the middle of 52 beautifully landscaped acres bordered by the Gulf of Mexico and by Topsail Hill State Preserve… Read More. The Villas of Frangista is a quiet, gated community with cobble stone streets, a community pool and some small ponds for the kids to fish in. Located in the heart of Miramar Beach, this community is just minutes from the… Read More. Windancer is a private community in the heart of Miramar Beach. It features a 4-story Beach Front condominium and a handful of cottages with private pools. Located on the east end of Scenic Gulf Drive, Windancer is close… Read More.